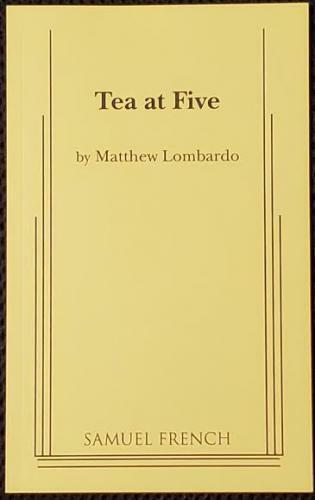 Tea at Five: A Biographical Monologue (Acting Edition) (Paperback) | The Drama Book Shop, Inc. Play: Biographical Monologue. 1 Woman. Interior setting. TEA AT FIVE, by the author of HIGH (Broadway, 2011 with Kathleen Turner) captures the fiery spirit of Katherine Hepburn in a one-woman show that recounts her journey from a well-heeled Yankee childhood to winner of four Oscars. Ensconced at her beloved Fenwick home, Ms. Hepburn reflects on the dizzying heights and emotional lows of her upbringing, her adventures in show business and her heartbreaking romance with Spencer Tracy. Audiences leave with new memories of one of the most dearly loved ladies of an era.